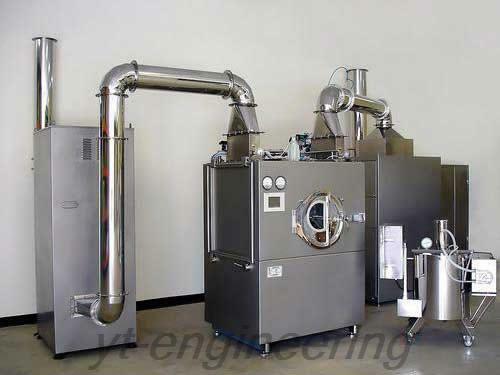 Film coating machine is broadly used in pharmaceutical and food industry. It is applied to coating traditional Chinese and Western tablets and pills (including micro-pills, small pills, drip pills and granulated pills) with sugar, organic film, water soluble film, slow and controlled release film. 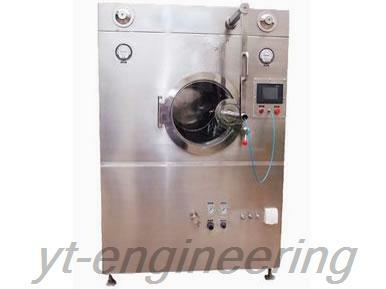 1.This film coating machine is fully sealed and operates in negative pressure. 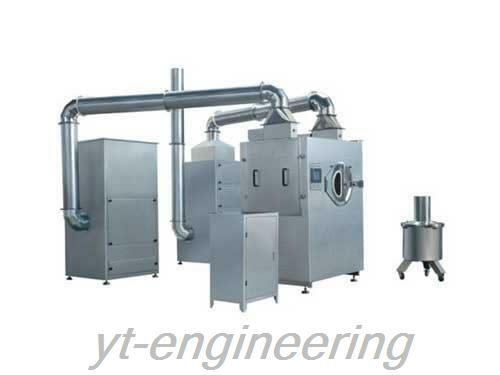 2.Our film coating equipment is soundproof and adiabatic, which takes a heat preservation effect for the machine. 3.It is equipped with touch screen and PLC module, thus all the parameters can be set in the control panel. 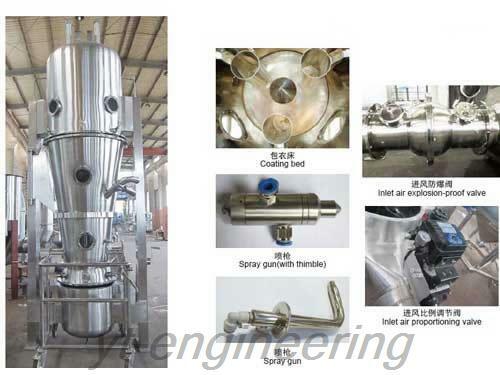 4.Our film coating machine is characteristic of uniform atomization, large spray and adjustable direction. There is no need to worry about any dripping or clogging of the nozzle. 5.This film coating equipment is endowed with high efficiency and security. 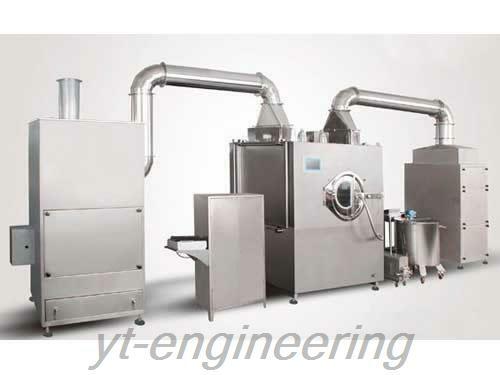 Besides film coating machine, Yutong also produces mixing machine, grinding machine and granulating machine. As a professional film coating machine manufacturer in China, Yutong carries out ISO9001 quality management system in order to ensure the quality of our products. The quality of film coating equipment is repeatedly checked during each stage of production. Additionally, our machines must undergo a trial run in the workshop, and only those qualified products are allowed to leave the factory.